The Institute was recently in Tanzania in the Iringa District, Mokota Farm, training Silverlands Tanzania Limited employees (varied from different position and departments). The Silverlands Tanzania Limited Company is the biggest poultry producer in the East Africa. 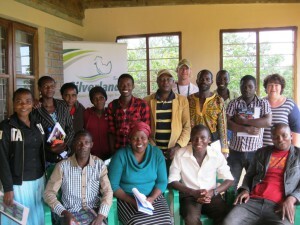 The training was successfully organised by Sheryl Bradnick: the Training Manager of Silverlands Tanzania Limited. This was a weeklong broiler production course facilitated by Mr Walter Gwala of KZNPI. The course was very interactive theory and also had some practical components to it. Thanks to Mr Steward Bradnick: the Head of Poultry at Silverlands Tanzania Limited for organising the practical session for the course. Through discussions, sessions of the course it was obvious that the delegates really enjoyed the course. After the week long training Mr Walter Gwala: the Facilitator was then tasked by Silverlands Tanzania Limited to visit a few of their customers (Chicks and Feed), this was to mentor/ give advises to the farmers on their poultry production challenges they face from time to time. The farmers were pleased and grateful to Silverlands Tanzania for arranging these these visits and were looking forward to start implementing the advices and point of views for better production results. Visits were conducted in Iringa and Dar es Salaam farms. The Institute would like to extend its sincere gratitude to the Silverlands Tanzania Limited Management, the Head of Poultry: Steward, the Training Manager: Sheryl Bradnick for organising such a successful training event and the participants for being actively taking part in the course.